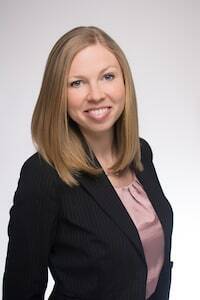 Rachel Smith focuses her practice on representing employees and employers in cases involving all types of employment discrimination, including race, gender, age, disability, and pregnancy discrimination, sexual harassment, and retaliation. Rachel also represents clients in wage and hour disputes, medical leave matters, and contract negotiations. She works to minimize the risks of litigation and attain the best resolutions for her clients in employment cases. Prior to joining Fidlon Legal, Rachel served as a Judicial Extern for the Honorable Timothy C. Batten for the Northern District of Georgia. She also served as a pro bono mediator for the Equal Employment Opportunity Commission (EEOC) and interned with the EEOC’s Trial Division. In addition, Rachel worked at Barrett & Farahany, LLP, a boutique plaintiffs’ employment law firm. Rachel received her law degree from the University of Georgia School of Law in Athens, Georgia. While in law school, she was an editor for the Georgia Journal of International and Comparative Law. Her article on disability law reform entitled Evading Promises: The Promise of Equality Under U.S. Disability Law and an Analysis of How the United Nations Convention on the Rights of Persons with Disabilities Can Help Close the Gap was published in the Fall 2010 issue of the journal. Rachel received her bachelor’s degree from The University of North Carolina at Charlotte where she focused on human resources management. Prior to joining the legal profession, Rachel worked as Director of Human Resources for a mid-sized company based out of Charlotte, North Carolina. Outside of work, Rachel enjoys cheering on the Georgia Dawgs, traveling, and spending time with her family.